Diego Camacho Escámez was born in Almería in Andalusia, Spain on August 12th 1921. He moved to Barcelona in 1929 to live with his uncle who was active in the Confederación Nacional del Trabajo (CNT). In 1932 he went to the Escuela Natura, a libertarian school basing its teaching on the theories and practice of the educationalist Francisco Ferrer in El Clot, a working class neighbourhood of Barcelona. 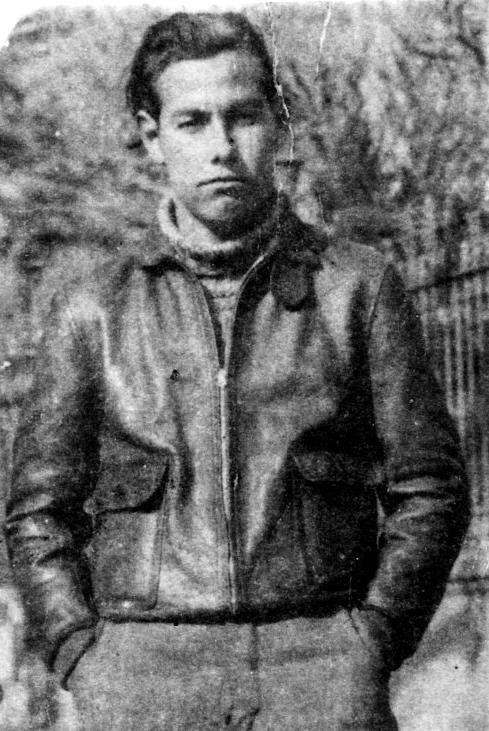 In 1935 he joined the Libertarian Youth (FIJL) in Almeria where he had returned to stay with his mother, also a CNT member. He returned to Barcelona in February 1936 where he joined the specific anarchist organisation the Federacion Anarquista Iberica (FAI) and the CNT. He was active in the El Clot defence group and was one of the founders of the Quijotes de la Ideal group which opposed the CNT-FAI leadership’s moderate policies. He worked in a textile factory and then at a newspaper kiosk run by another late anarchist veteran Liberto Sarrau Royes. He was arrested during the May Days of 1937 when the Stalinists organised a provocation against the anarchist movement. He was active in the anarchist collectives in the countryside at Cervia near Lerida and wrote for Tierra y Libertad the paper of the FAI. He fought with XI Army Corps led by Manuel Iglesias in 1938. With the Retirada, the mass exodus of hundreds of thousands of Spaniards across the French border with the defeat of the Republic in January 1939, he left Barcelona. In France he was interned in a concentration camp, and found work there on his release. He was forced to work for the Nazis as a slave labourer at Bordeaux but managed to be involved in underground activity with the anti-Nazi resistance but after an arrest and subsequent release in April 1942 he returned to Spain to take part in underground activity against the Franco regime. He contributed to the underground FIJL paper Juventud Libre (Free Youth). He was jailed by the Francoist police after attempting to re-organise the CNT. He spent the next five years in prison. He was released but a few months later was arrested again, for having taken part in a Libertarian Youth meeting. He spent another five years in jail.During this time he contributed to two anarchist prison bulletins. Released in 1952 he took up his underground work where he had left off. In 1953 he was appointed by the underground organisation as its delegate to the IWA congress. He then stayed in France only returning to carry out an abortive mission inside Spain on behalf of the Defence Commission of the CNT. After the clandestine Barcelona printshop of the underground CNT paper Solidaridad Obrera was discovered by the police he made a quick exit from Spain. He undertook extensive activity throughout France among the exile Spanish anarchist diaspora, attending many meetings and congresses of the Libertarian Youth and the CNT. In the 1960s he started writing his epic biography of the legendary anarchist militant Buenaventura Durruti as well as other historical books. In 1977 he returned to Spain in the aftermath of the death of Franco and the democratisation process. He took an active part in rebuilding the anarchist movement in Spain. He started writing his personal memoirs which grew to 4 volumes, all the time maintaining his engagement with the movement. On the back of the appearance of Ken Loach’s film Land and Liberty he undertook a tour of Italy in 1995-1996 addressing around forty public meetings. In the 1980s and 1990s he was living in the working class neighbourhood of Gracia in Barcelona, maintaining his literary output and his continuing communications with anarchist militants and historians alike, backing this up with many lectures on his works. He contributed to the creation of the Centro de Documentacion Historico Social (CDHS) – Centre of Historico-Social Documentation at Barcelona, an anarchist archive and library. He died on April 13, 2009 at the age of eighty seven.